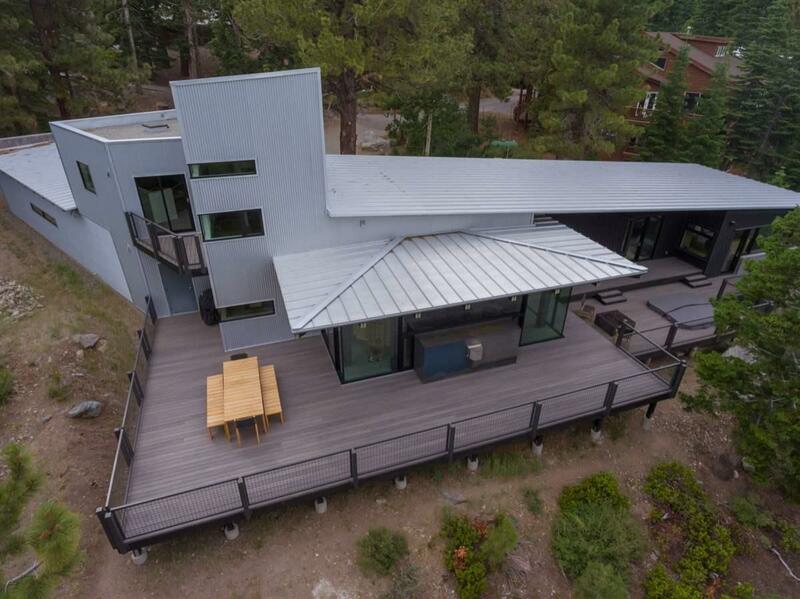 Brand new Mountain Modern Home designed by Alexander Design. This 4 bedroom, 5 bathroom house with south facing views of the Sherwins was built sparing no expense. 3 bedrooms all with their owns baths on one side of the home and a separate caretakers unit or 2nd master on the other side. Custom cabinetry throughout the home. Stone and wood floors with radiant (hydronic) heat throughout. 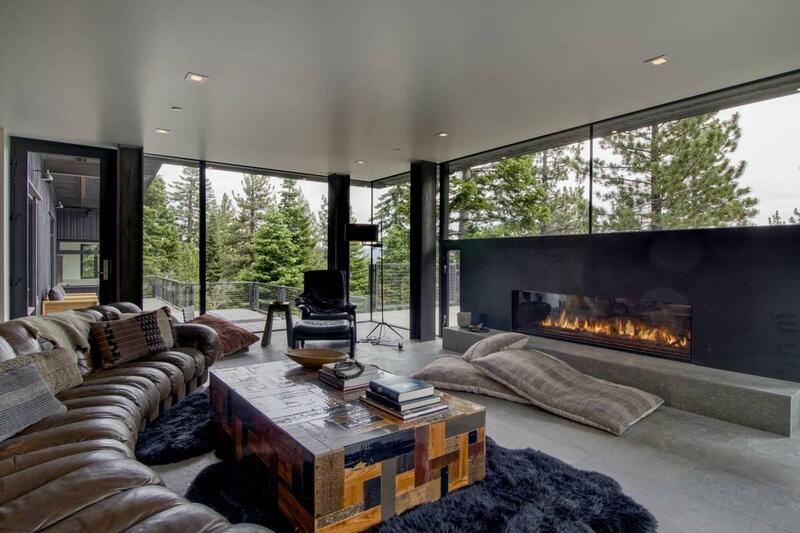 Fleetwood windows and doors let the gorgeous mountain views pour in. 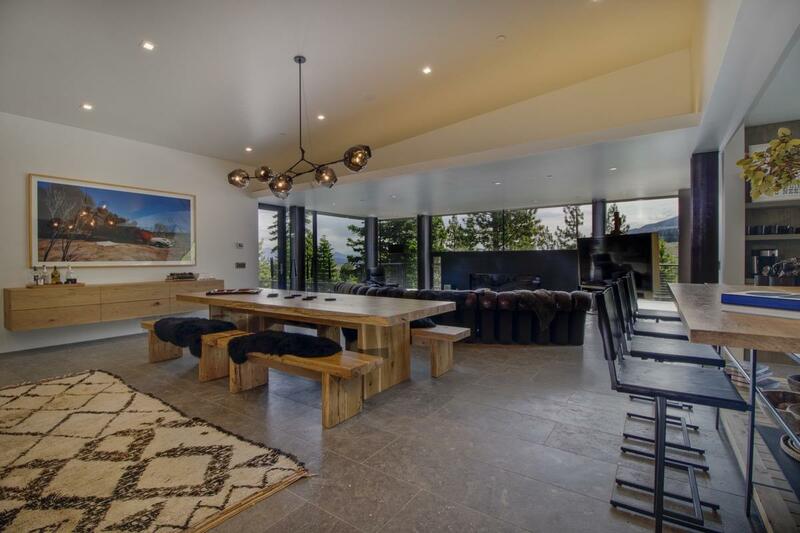 Wrap around south facing decks with fire pit, spa and outdoor dining area are great for entertaining or enjoying after a day of skiing or hiking. Generous master bath with huge steam shower with double shower heads. Custom bathroom vanities and cabinets with brass details accent all the ensuite bathrooms. The home can be sold furnished with vintage and one of kind custom built pieces. 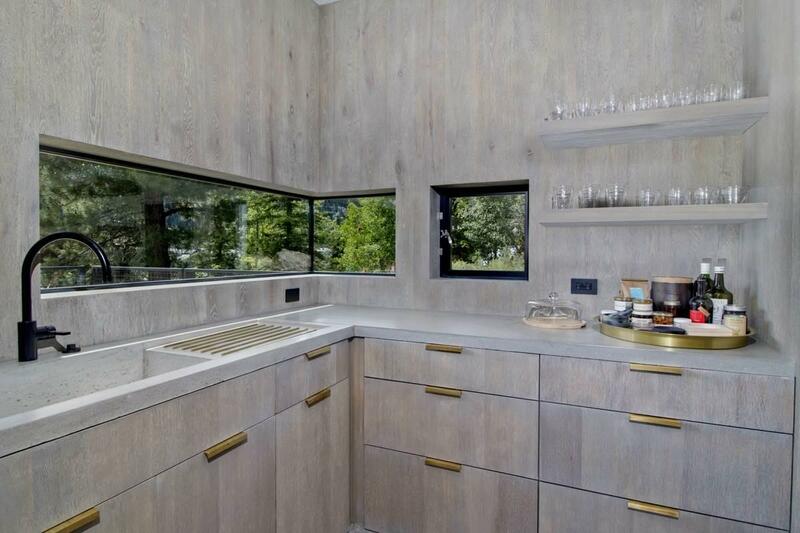 A huge wood and brass table anchor the great room that connects to the gorgeous and cooks kitchen complete with Wolf appliances and Dorn Bracht plumbing. Lutron Lighting and collectible high end lighting fixtures from Apparatus and Lindsey Adelman compliment this incredibly tasteful Designer Home. Theres nothing like this on the market in Mammoth!Cat-6 wiring for high speed capabilities and the list goes on. Surrounded by gorgeous trees on this estate size lot, this property is close to the Snowcreek Athletic Club and not far from Mammoth Mountain Ski Area.